Nothing at all, the place is really ugly in reality. Don’t stay here. The view was fantastic looking out over the harbour. We were within walking distance to everything we needed, the beach, restaurants and the supermarket. Sitio muy amplio. La ubicacion es excelente con acceso a todo lo mas interesante de esa ciudad y hay parking cerca de 24 horas pagando. Ricos sitios para comer. Se puede ir a Caminar por la playa. Gracias Victor por la orientacion. Excelente. Le literie très confortable. La vue de la chambre sur le port et la mer. La cuisine, bouilloire et thé. Muy bien situado. Buena atención. Apartamento bonito. Расположение, вид из окна, удобный номер,есть все необходимое. UtIkten var underbar men döljdes av ett skydd borde varit glas så man såg när man satt på balkongen den vackra vyn! Annars var boendet superbra! !Läget var perfekt men man hörde trafiken ganska mycket! One of our best sellers in Alicante! Featuring free WiFi, Paseo Explanada 25 offers accommodations in Alicante. Explanada de España Boulevard is 650 feet from the property while Playa del Postiguet Beach is 10 minutes' walk away. All units include a satellite flat-screen TV. Some units feature a terrace and/or balcony with sea or mountain views. A toaster and fridge are also featured, as well as a coffee machine and a kettle. There is also a kitchen in some of the units, equipped with a dishwasher. There is a private bathroom with free toiletries and a hairdryer in every unit. Towels are offered. Procathedral of San Nicolás de Bari is 1,300 feet from Paseo Explanada 25. The nearest airport is Alicante Airport, 5.6 mi from Paseo Explanada 25. 뀐 Located in the real heart of Alicante, this property has an excellent location score of 8.7! When would you like to stay at Skylights Explanada 25? This apartment features 2 bedrooms with small balconies featuring port and city views, a kitchenette and a dining room. This apartment has a kitchen, air conditioning and balcony with city and mountain views. 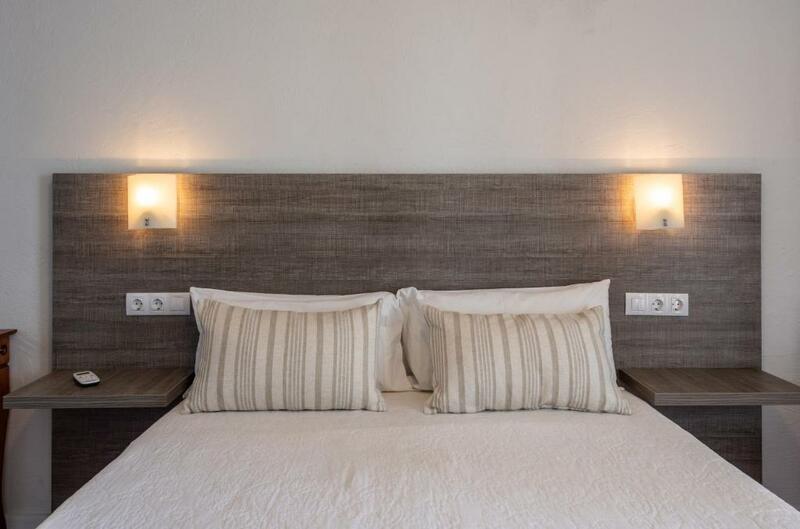 We offer beautiful apartments in the center of Alicante. All of them were newly renovated and offer a magnificent view to the sea or the city. They are located in a high standard building with modern design, security and restaurant. Our apartments combine so perfectly spacious and comfortable living space, reasonable prices and high standard quality. "SkyLights Apartments" is working in Alicante from 2015 and already recommended itself as one of the best in the city. Our team consists of professionals in hotellerie and is always ready to provide the top service. The company is a part of "EastPark Apartments" with headquarters in Munich, Germany. Many popular restaurants and bars, big shopping area and other attractions are close by. The main shopping boulevard is just across the street. The beach is only in 10 minutes walking distance. House Rules Skylights Explanada 25 takes special requests – add in the next step! Skylights Explanada 25 accepts these cards and reserves the right to temporarily hold an amount prior to arrival. Please inform Skylights Explanada 25 of your expected arrival time in advance. You can use the Special Requests box when booking, or contact the property directly using the contact details in your confirmation. Terrible place, and cold and old , plus it has an occupancy of 4 people and the water heating system is the worse, not even one person can shower, the boiler is so small that you will end up your shower with cold water, and the rest of your friends and family will not have anymore hot water to shower. How crazy is that? It happened to me, and is just not worth throwing your money away. On our departure day our flight was not until 2130 and checkout is 1100. Although we were able to leave our luggage in the lobby until 1400 we still had 4 hours to walk around with cases until our taxi collected us at 1800 We also felt there was some confusion about the bathroom that is located of the shared lobby between the 2 apartments. My booking confirmation said I had a second bathroom which I assumed was the one in the lobby area but after this was also being used by the occupants of the other apartment. 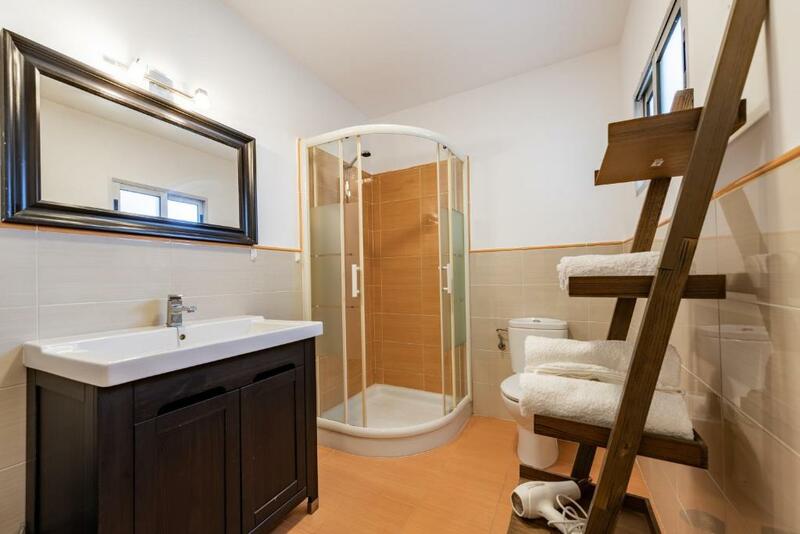 When I queried this with the agent he said the additional bathroom was for the use of the other apartment. However, this did not spoil our holiday.